Each Atlas project has its own value proposition available on the Project page. Value Proposition document describes proposed value in the context of the program"s customers. GRCC GIS Student Value document contains the value proposition specifically for the GRCC GIS students with linkage to the King County GIS value proposition. Atlas Summary document provides an overview of the goals & objectives along with the value proposition for the program"s customers and beneficiaries. 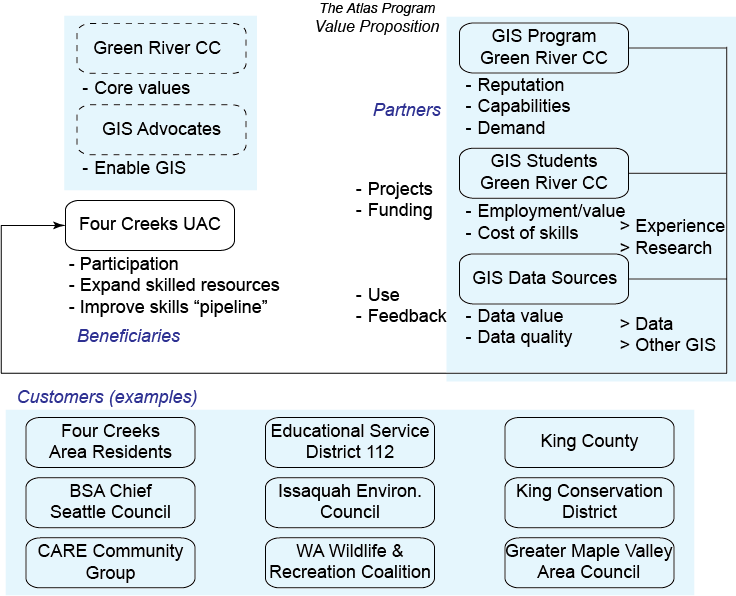 GIS Educational Resource a page with downloads and links from the GRCC GIS initiative to improve spatial skills.